Did you know that Green Tea is known to have extreme health benefits of which unwanted fat loss and prevention of oral cancer are primary? In this article, let us look at how having Green Tea goes about achieving this. Oral Cancer: Pennsylvania State University’s Joshua Lambert, co-director at Centre for Plant and Mushroom Foods for Health and his research team has observed that the EGCG compound (epigallocatechin-3-gallate), a major percentage of Green Tea’s anti-oxidants, ensures that cancerous cells found in the oral cavity self-destruct. This happens as a result of mitochondrial damage enthused by EGCG. There is no need to panic. The EGCG did not affect the healthy cells quite the same way and it actually enhanced the mitochondrial membrane potential, which enhances healthier metabolism internal to the cell. Joshua Lambert stated in a press release – “EGCG is doing something to damage the mitochondria and that mitochondrial damage sets up a cycle causing more damage, and it spirals out, until the cell undergoes programmed cell death, it looks like EGCG causes the formation of reactive oxygen species in cancer cells, which damages the mitochondria, and the mitochondria responds by making more reactive oxygen species.” Detailed research is available at Molecular Nutrition and Food Research (online version). Can we safely then say that Green Tea can be THE cure for all sorts of cancers, of course, post research. Indicators are that this research is progressive and we can be seeing a lot more benefits coming from EGCG. Normal cancer patients are treated with strong anti-cancer medications that have ample side-effects. Chemotherapy can be quite heart-breaking for hair follicles and intestinal cells; however Green Tea has absolutely no side-effects. Time to start the Green Tea habit? – Four cups a day and keep cancer away. Weight Loss: Green Tea is one of the most beneficial drinks for humans available on the planet and it comes with a host of substances that aid good health. The primary and most important ingredients of Green Tea are a wide range of anti-oxidants that help you detoxify the body without consciously aiming to do so. Detoxification removes a lot of impurities along with the fat particles. Additionally, as discussed above the EGCG present in Green Tea enhances metabolism. Increase in metabolism also converts to fat loss to a certain extent. Going further the EGCG actually controls the enzyme that helps in breaking down a hormone called the norepinephrine. Once this is achieved, it results in excessive norepinephrine increases. This increment signals the central nervous system which in turn forwards the signal to fat cell to break down quickly. The percentage of caffeine in Green Tea is much lesser than that is found in normal tea or coffee (about 30%). The combination of EGCG and Caffeine also have a symbiotic effect on the human body resulting in breaking down more fat into the blood stream converting it into energy that can be used or ingested into the muscle cells, if exercised regularly. Lesser fat has a positive effect on the body in the form of a healthy liver, better heart, lesser blood pressure and so on. While reducing the probability of cancer, losing weight can be an icing on the cake. When do you want to make Green Tea your favorite beverage? So what else do we know about Green Tea? Is there any vegetable, fruit or drink which can offer so many benefit as the green tea is? Whenever we visit a grocery store or supermarket, we experience the green tea packets or beverages for sale. Although green tea is being in use from thousands of years and people are aware about its health benefits, it seems to push them more about green tea benefits and encourage using green tea if they are not feeling well about its taste. Nutritionists and doctors are pointing to inform people about some of the healing properties which are associated with use of green tea, if they have ignored or not aware about it. From their ancient times, people are known the uses and benefits of green tea and this product was popular in chine thousand years before as it is today. Green tea provides not only the serenity and peace, but also strength the human body to fight against diseases and make them healthier. Green tea is also helpful to lose extra weight and many other health benefits are associated with use of it. Since it looks a really a new herb in United States, it is important to aware the readers about history, characteristics, uses and benefits of green tea. 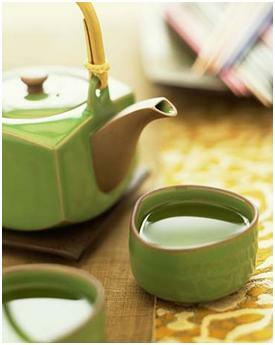 When an individual drink the green tea, there are hundreds of the health benefits which he will learn about green tea. A simple definition is not enough to cover green tea, because product itself creates many of the definitions when you experience it. All the tea types which are distinct from flowers infusion and herbal and named as tisanes by lover of the tea, prepared from a plant relating to Magnolia trees and with botanic family name of Camellia sinensis. Though this tree can reach at maximum height of 30 feet in world, this plant keeps itself as shrub and reaches at height of 3 feet only, which helps in picking the leaves by tea drinkers and its new growth. Its tea plants can grow in countries where weather is warm but can also flourish in areas which are ranging at height of 7,000 feet. Green teas are perfect however from those plants which are grown at a height of 3000-6000 feet, because in such climatic conditions the leaves will grow slowly along with slow maturation of plant and will yield the best flavored taste. Based on the altitude on which this plant has grown, it will take an average 2 to 5 years to get ready for leaves picking and when it starts bearing its leaves, it will remain productive for up to a century. This tea plant produces a camellia like flower, abundant foliage along with a berry, however only the youngest leaves are taken from young buds. The new shoots are called flush, which will start growing every week starting from growth at lower altitudes first and higher ones will take more time to start growing. Its young leaves are picked by hand through tea puckers and best of it can produce 40 pounds every day, leading to tea equal to 10 pounds. All the Green tea plants belong to same species, the Camellia Sinensis, but their growth conditions are different, including their soils, climate and altitude and so leaves many be different. The process through which they leaves are passed through, it can affect to make three predominant types of teas, the Oolong, black and green. Green tea is the product which is least processed and gives a catechin named as antioxidant polyphenols. It gives EGCG, which is the main reason for effective recovery of many diseases. We will discuss about EGCS later, but it is the main component which gives so healing effects from tea and have bundle of advantages. Green tea is prepared from steaming the harvested leaves, putting them in water and mixed sugar once water has turned to steam and heating the tea with these components before it turned the color, take it from the heat. After heating, green tea leaves will be rolled and spread out. So in end, you will get a green, astringent taste which is similar to the taste of its leaves. Green tea has always remained the popular from among all the teas imported from china, where it is believed was used thousand years ago. At that time, Chinese were the best botanists and historians and they found the taste, aroma and health benefits of green tea. To get amazing health benefits, green tea leaves are heated with water till to the temperature where EGCD compound is preserved and not oxidized. A major difference between green tea and other teas is that; green teas preserves the taste of EGCD while other teas breaks down the healing properties of EGCG and it is taken away. Green tea has detailed history and it will be much fascinating to know about it. It has been found that green tea was being used in China as long as 4000 years ago. Although there is no accurate data available to know about how and when the green tea was prepared by someone and its stories are all relating to myths and not sure about their realties. Among these, one story have displayed that one of legendry person in Chinese history, Sheng Nong first discovered the green tea as health beneficiary herb in 2737 BC. It has been told in the story that one day Sheng was boiling water under a tree and some of its leaves fell into the steam. After tasting it, he found that those leaves had miracle effects on health and power, resulted in entry of this tea in medical herbs lists. Initially this tea was used as medicine and also offered to guests, but it became a commonly used beverage at the times of Western Han dynasty. This tea was grown around the monasteries of Buddhists and it was started in trade during Ming Dynasty. It was in 6th century when a Buddhist first introduced green tea in japan. In Europe, green tea was first introduced by a Portuguese missionary during the 16th century. During 1615, the English traders who were working with East India Company were aware about use of green tea and it’s quite evident that green tea spread in Europe in less than hundred years. This resulted in English tea import which increased from 100 pounds each year to 5 million pounds imported. This increasing demand established businesses for many of the exporters and voyages of shiploads with green tea were sent to Europe every month. Among those Chinese elites and bureaucrats who have established an affluent dinning habit, green tea was their right choice and this became essential drink after the dinner in China and many of the Asian countries. When we use word “tea”, it means Green tea in United Kingdom. Decades before, green tea was prepared in steam with fresh leaves directly plucked from its trees to preserve the ingredients essential for health and get the natural taste of tea similar to its leaves. 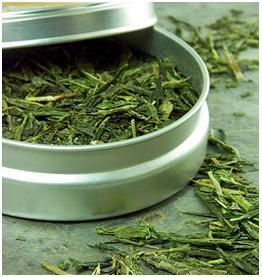 Green tea was found to be an expensive beverage in historical China. Consumption of tea was limited only to the wealthy families and elite segments of the population. However after the fall of Mongolian rule in 1368 A.D, use of green tea was spread from wealthy families to all around the china. During 1405 to 1433, china as considered the sea power with its coverage of exports around the world, green tea was indispensable supplies used by the seamen. The amount of vitamin C which they could get from drinking of tea was enough to eliminate European sailors after hundred years and still its benefits were not known to the medical officers which were assigned for their journey to Africa from the China. A popular painting which had the title of “Drinking Tea”, translated from a Chinese elegant title “The Tea tending event” and left for display in Palace Museum, the traditional methods of preparing tea was recorded by Tang Yin, at the time when China was ranked as most prosperous country in the world. The use of fresh leaves grown at his house near southern hillside has been described in the poem written on that painting. It tells that use of fresh leaves for green tea or non-oxidized leaves were used for preparation of this format of tea in era when Ming Dynasty was prevalent in china. However with start of Chien-lung Dynasty in 1736, which ended in 1796, he was the man who used to drink only black tea because he came from northern minority and he wanted to display himself a commander. When he was passing by some field where green tea was planted, a servant offered him green tea, which he responded after taking few sips with “Tasteless, Too Bland”, but after few miles he travelled, he told his servant that it was the good tea he ever tasted. He found that characteristics of green tea are soothing and its taste came few minutes after taking its sips. In this way, green tea was offered to family of Manchu and became beverage of their choice. Introduction of green tea to United States from Europe dates back to 1945, when European warriors and traders took it with themselves to the newly discovered areas of America. First Chinese restaurants which were ran by Chinese emigrants started offering the green tea to their customers in newly discovered States of America. A book written about benefits of green tea, Kissa Yojoki by a priest named Eisai in 1191, it was being told that use of tea dates back to thousand years before in Asia. Also in this book, it was explained about effects of drinking tea on our vital five body organs and refreshment we get from use of tea regularly. This book has also explained in detail about medicinal qualities which are offered by drinking of tea and how it eases the alcoholic effects, simulant actions, cure of blotchiness, function for brain, improving of urine function, and prevention of fatigue, cure for beriberi illness and helps in digestion. Many studies have concluded that EGCG is the component which has many healing properties and one such component which can prevent us from cancer and many heart disease and helpful to loose extra weight. When you adopt green tea as regular part of your diet, there are too much benefits of green tea. Many studies have been done on green tea characteristics and benefits and all the results found are much encouraging to know. Health promoting flavonoids exist in green tea in high volume, and account for 30 percent of green tea leaf when it is dry. These include anti-oxidants, catechin and derivates from these. EGCG, named as epigallocatechin-3-gallate is the catechin which is found in large quantity in green tea. Due to this catechin, green tea work as anticancer and has many effects of antioxidant. Like Vitamin C and E antioxidants, catechin is potent free and therefore acts as health supportive. Health benefit of the green tea are based on its consumption, should be same like used as 3 cups per day in Asian countries. This amount of tea usage will provide 240 to 320 mg of polyphenols which is an anti-oxidant and its one cup will offer you 35 mg of EGCD. Extensive health benefits studies on green tea have been done and scientific results have encourage more people around the world to use it as well as new studies which are performed on green tea. According to Nov 2004 results from PubMed database, there were approx. 1500 research studies done on green tea and more than 420 studies were performed in that year, 2004. Users of green tea have low risk to be exposed to many of the diseases, ranging from viral and bacterial simple infections to chronic degenerative situations like osteoporosis, periodontal, can and stroke. Current studies have focused more on how green tea can offer you more healing effects as compared to its historical usage. According to European study of Aug, 2006, tea is the healthier beverage than any other drink, even the use of pure water. It is because tea can offer the hydrates requirements and polyphenols which protect us from many of the ailments and heart diseases. According to a Japanese study conducted during 2006, it has been found that green tea has so much power to protect us from all the causes of death. A study done by Japanese scientist in 1995 in which a population of 4000 was taken with age of 40-79 years old, research observations went for about 11 years and was performed in north east of the Japan. Based on research results, it was found that 80 percent of the users are taking green tea 3 cups every day, and users which had taken five cups of green tea per day had lower effects of disease and more resistance to it, as compared to those who took only one cup of green tea per day. Although no positive effects to prevent from cancer were found by this study done, there are many other researches performed during 2006 in which green tea has been suggested due to its anti-cancer effects. In this study women were compared for breast cancer prevention, and it was found that women who take green tea have 22 percent lower chances to develop breast cancer in them. In many studies, the health promoting effects are often complicated to understand because people adopt the healthy lifestyle with normal habits for health and so in studies it was also mentioned that since green tea has health benefits, people in japan may be using this beverage as primary source for their health maintenance. It is also not possible that significant drop down in deaths due to healthy diets may result in learning the health consciousness. It is therefore a common trend that green tea will offer health benefits to those individuals who are taking it without any knowledge or understanding of health benefits provided by taking green tea. So if you are taking regularly the coffee as one cup of day, just use tea as alternative source to this. Very soon it will be revealed to you that green tea has calming and invigorating qualities, when you take it whole day three or four times. Green tea has best feature that it becomes your daily routine once you discover its taste. If you review the studies done for healing properties of green tea in 21st century, you will get conscious to know how much healing properties it has and how it can protect you and your body from many disease, let’s become specific. What can Green Tea Heal? Whole concept behind use of green tea as health beneficiary product and soothing taste is based on research studies performed on it. These studies show that green tea can help us offset many devastating symptoms which are causing the death diseases in human beings. It has power to health the health problems. Research studies based on data taken from huge population, it has been found that antioxidant properties of green tea can prevent from atherosclerosis, which a coronary disease is found in men and women. In these research studies, population taken at large volume to get the precise figures about health benefits of green tea and they were conducted on people living in different areas around the world and belonging to different cultures. US Food and Administration stopped the tea makers to avoid use of labels regarding green tea health benefit for heart diseases. FDA found that there is no evidence found from health experts that extracts of green tea prevent and has healing properties from health diseases. 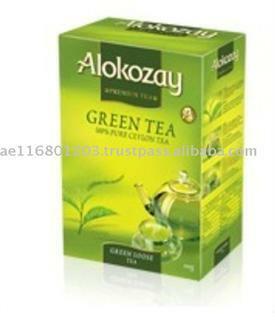 But in studies conducted in Japan, it has been found that green tea is powerful predictor for coronary artery disease. In another independent research study, those individuals who are taking 4-5 cups of green tea daily have 16 less risk to suffer from coronary artery disease. In this study, researchers told “patients who take more green tea, they will never have any problem to suffer from coronary artery disease”. Green tea lowers the LDL cholesterol, lipid peroxides and triglycerides to lower the risks of atherosclerosis and improve LDL being bad to HDL being good. Similar research study was performed on animals and it was found that animals which took lower dose of green tea had 46 percent more chances to suffer from atherosclerosis. Green tea is much beneficial to lower down the cholesterol and raises it as HDL being good. Similar work study performed on human beings found that people who were taking green tea regularly had lower cholesterol level as HDL. Green tea has polyphenols which block the intestinal absorption of cholesterol and it decreased the blood levels of LDL which were harmful in male smokers. High consumption of green tea, estimated 8-10 cups per day will result in higher HDL and lower LDL to drop down the level of cholesterol and provide them best fitness and healthier all their life. Green tea also lowers down the intestinal fat absorption and it has good fat loss properties in human beings. 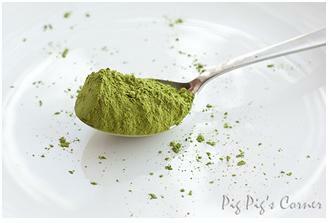 It will be much interesting to view the green tea supplements with genistein to get the amazing results. People in Japan have longer lives as compared to populations around him around the world and have lower cardiovascular morality although they are addicted to smoking, but green tea is available to ease the health problems and make them healthier forever. Green tea was used historically to control the blood sugar and it has been proved effective for type1 diabetes also. Individuals who are suffering from diabetes produce no insulin, which is used to covert sugar into required energy for our daily use. But use of green tea is effective to provide glucose regulation in diabetes patients. 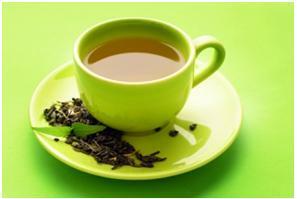 Research studies have shown that green tea is also effective to provide good remedy for diabetes type2. In study, it was being found that rats with 12 weeks use of green tea had lower insulin, glucose level in blood and ability in their fat cells improved to respond to blood sugar and insulin for improvement of glucose and energy production. In another population based researches, it was found that people with habits of 10 cups of green tea taken every day had less disorders of liver. Many toxic substances like alcohol have low damaging effects if green tea is used every day by an alcoholic individual. Also in one research conducted on rats, it was found that mice resistance against development of brain tumor was increased after taking green tea. 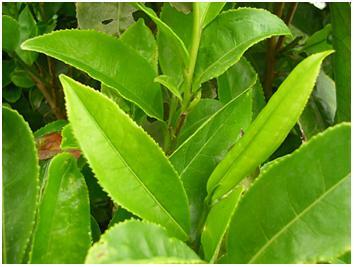 Research studies showing that polyphenols is existing in green tea, which is best treatment against viral hepatitis. Those patients who had done transplantation of liver may prevent to failure after taking green tea regularly. Some medical results have also shown that people who use green tea regularly will have reversed effects for damages which may cause to liver due to medications. Liver in our body is an organ which can regenerate itself and use of some regenerator like green tea can speed up the process and also has healing effects in damages. Due to proponents and advantages of green tea so much, most amazing results about use of green tea were that found for cancer, because current research studies conducted on cancer and effects of green tea found that results are much encouraging for people who are suffering from cancer. Also if green tea is used regularly, it has anti-cancer properties. Several population based researchers have found that people using green tea have long effects of cancer or completely saved from it, for example cancer rates in Japan are lower as compared to other countries due to regular consumption of green tea in japan. Various animal, cell structure and epidemiological studies have fully supported the preventive measures of cancer using green tea. The evidence for preventive measure of cancer is so overwhelming that national institute of cancer Chemo prevention branch has started practices to develop compounds of green tea in which it should be checked in human trials and it helped to terminate cancer cells in many ways. Green tea is a powerful weapon not only against cancer but also it reduced the growth and possibly of cancer cells. But some of the recent studies are far from the facts that green tea as multi-talented beverage is also effective to prevent the growth of cancer cells and cancer in human beings. EGCG has also provided other advantages for prevention of prostate cancer due to green tea usage. This was found in a research study which was published in December 2004 in International Journal of Cancer and it was found that EGCD inhibited the production of PSA as marker of prostate cancer. 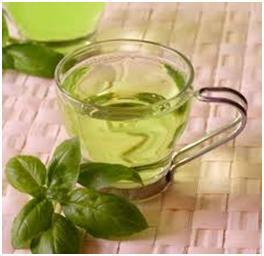 Green tea has polyphenols which is effective to prevent the spreading of prostate cancer. It also stops the spreading of tumor cells in brain, along with inhibiting the blood vessels which are responsible to supply nourishments for cancer.Laboratory studies have also shown that extracts of green tea preventing the growth of prostate cells. In south eastern region of China, it has been found that prostate cancer has been ended as well as its risks, due to usage, frequency and green tea quantity consumed every day. Women suffering from ovarian cancer survive if they use green tea. It was found in a study conducted in Nov, 2004 in International journal of cancer, it which women who had taken minimum 1 cup of green tea each day had 56 percent low risks of death due to ovary cancer. An issue published in Gynecologic Oncology also found that whey women suffering from ovarian cancer were benefiting from use of green tea and how green tea had positive effects to increase their survival rate. Information work from many other research studies also revealing that green tea and black tea offer better protection against many forms of cancer. According to research study in December 2005, it was concluded that women who are enjoying 2 to 3 cups of green tea each day have lower effects to suffer from ovarian cancer. Also, lungs cancer, breast cancer, liver cancer, prostate cancer, colon cancer tumors have more resistance to appear in a person who is taking green tea regularly. Colon cancer will also have reduced risk to appear in human beings if green tea has been taken regularly. There are so many significant advantages of taking green tea. Some dozens of researches on green tea have found that this naturally gifted beverage is also helpful to aid in weight loss.People who want to lose their extra weight or want to shed some pounds from their body, green tea is the best remedy available to help them overcoming their extra weight and get the best fitness. Green tea is beneficial not only to promote fat loss but also visceral fats loss which are in tissues lining in abdominal fats. We all know that we want to get idea body and green tea along with its effective weight loss treatment is best solution for your whole family. So we can conclude that green tea has many of the healing properties and it can keep people healthy due to its so many ingredients which can save us from many diseases.